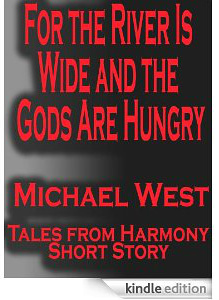 The year started off with the release of my short story “For the River Is Wide and the Gods Are Hungry” as a digital download for $0.99 through Seventh Star Press. 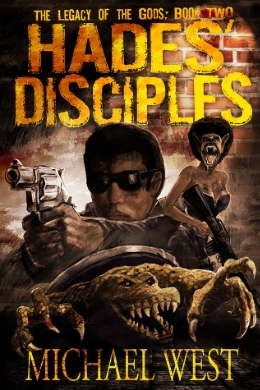 This was the first time that I had ever released my work in a purely digital format. 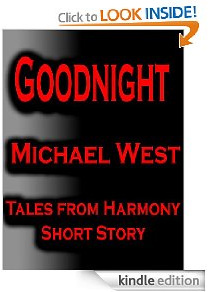 The publisher also re-released my award-winning short story “Goodnight” in the same fashion. 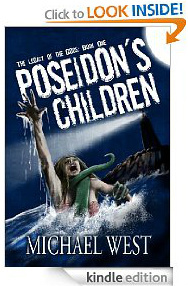 March saw the release of Poseidon’s Children, the first novel in my epic Urban Fantasy series The Legacy of the Gods. The project introduced me to a world-wide audience, and to date, it has been sold in Australia, Canada, England, France, Germany, Italy, and Spain! This was a project that I had been kicking around for many years, so it was incredibly gratifying to see so many enjoying my story and falling in love with this cast of characters who had been so close to me for so long. 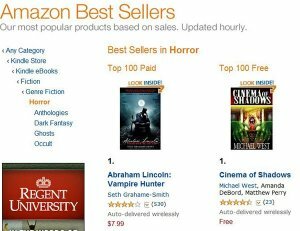 Then, during my publisher’s Summer Open House, my novel Cinema of Shadows became the most downloaded Horror novel on Amazon.com! Growing up, I can’t tell you how many times I dreamed of having a #1 book, and it was so surreal and exciting to see it actually happen. I traveled a lot this year in support of my novels – appearing at conventions, book stores, and book fairs in Ohio, Indiana, Kentucky, and as far south as Atlanta, Georgia. 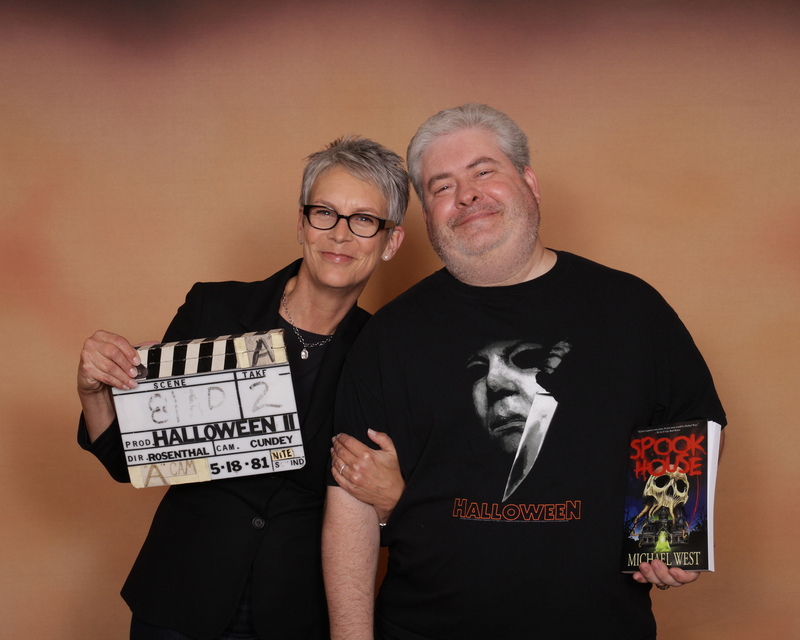 It was great to meet my faithful readers face-to-face, to introduce my work to new people, and to get to know a lot of stars from film and television, celebrities I have been watching and idolizing for most of my life, including Bruce Campbell (Evil Dead, Army of Darkness) and the amazing Jamie Lee Curtis (Halloween, The Fog, Prom Night). But 2012 still wasn’t done with me yet. 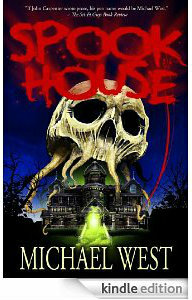 October saw the release of my third Harmony, Indiana novel, Spook House. 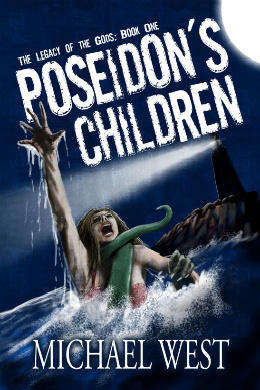 A mash-up that featured the first meeting of Robby Miller (The Wide Game, Cinema of Shadows) and Earl L. Preston Jr. (Poseidon’s Children), the novel proved to be my best reviewed work to date, even making its way onto some year-end lists as one or the year’s best reads! 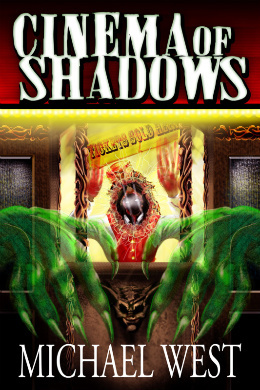 The novel also sent me on my first virtual book tour. For thirty days, I visited various sites from around the world, posting guest blogs, doing interviews, and just generally blown away by the overwhelming response. 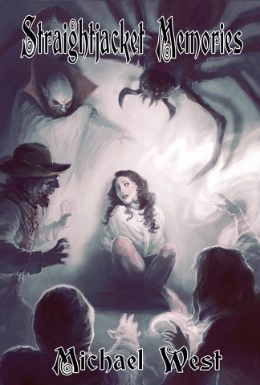 And the year ended as it began, with more short story news. 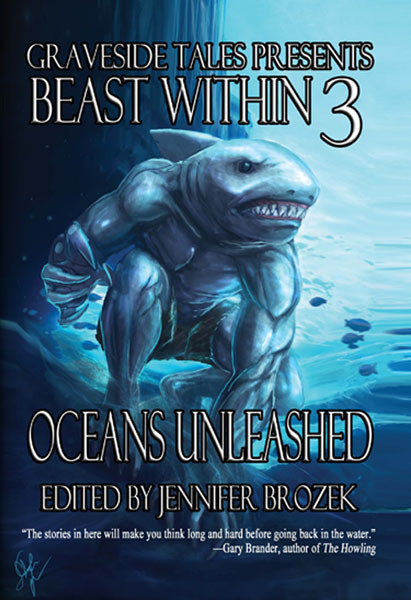 “Trolling,” my tale set during the events of Poseidon’s Children, saw publication again as part of the Beast Within 3: Ocean’s Unleashed anthology. 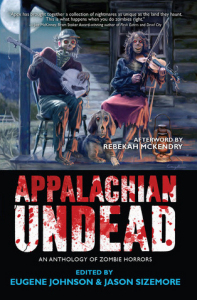 And a new story,, my first real zombie tale, “Hell’s Hollow,” was part of the very limited Appalachian Undead anthology. 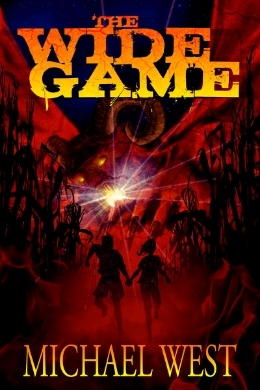 Hopefully you got your copy of that one before it went out of print! While 2012 was the best year of my career, it was a year of personal struggles and tragedies. 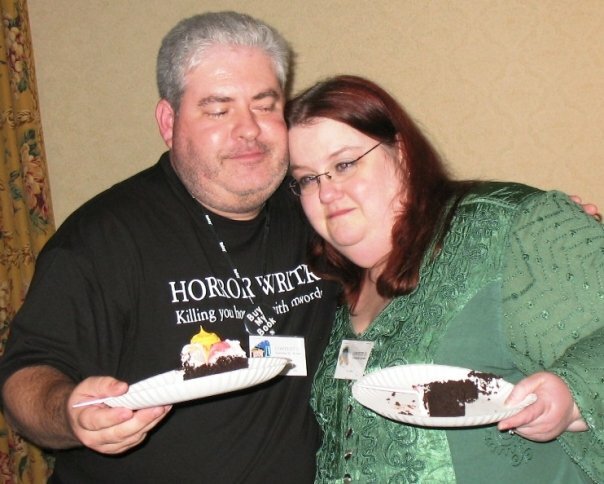 Sara Larson, one of my closest and dearest friends, and a founding member of the Indiana Horror Writers, lost her long and painful battle with breast cancer. The cancer had moved into her bones and her brain, and the year began with her in hospice care. I visited her often, and she fought hard to stay with us, but on March 17th, she left this world behind and left a huge hole in a lot of people’s hearts. Then, in September, cancer struck even closer to home when my wife Stephanie got the diagnosis shortly after our 20th wedding anniversary. Thankfully, it was a slow-growing tumor that was confined to the bone in her arm. Surgery replaced the infected bone with metal, and no chemo or radiation was needed. 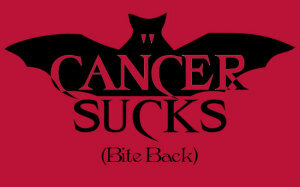 As I type this, she is cancer free, but, because she can no longer physically perform the duties of her nursing job, a job she’s had as long as I’ve known her, she is also job free. We are getting by, however, and I hope that the new year will bring good news. 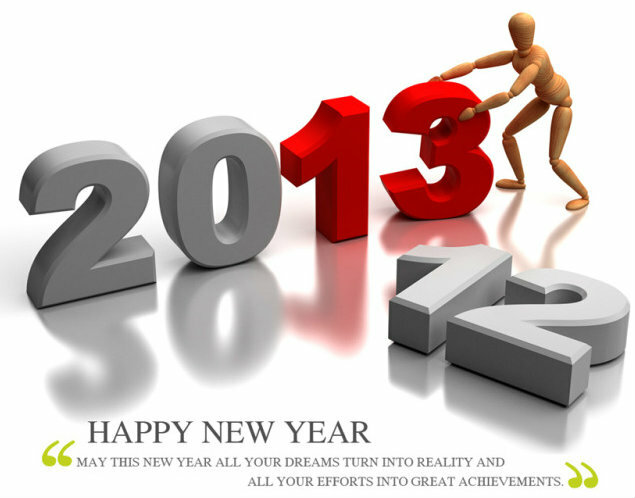 Which brings us to 2013. 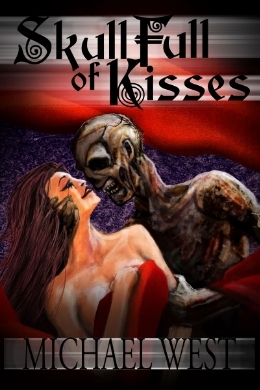 The new year will see the release of a special anthology, one that I’ve been editing off and on for over a year now; an anthology that will donate money to cancer research with each and every purchase. This is, obviously, something that has a personal importance to me, and I am thrilled that it is finally coming together, and coming together so very well. 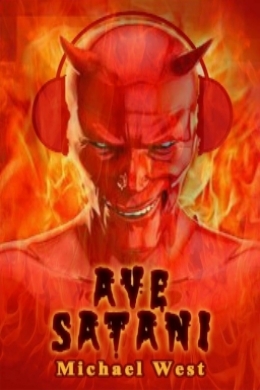 Look for an an official announcement on that one soon. I hope we can do a lot of good with this one! Now, on to the stuff I can talk about in detail. 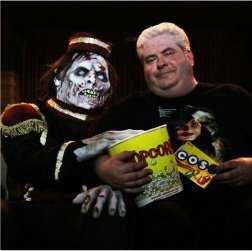 My short stories “The Grove” (Shroud Magazine #13) and “Unknown Caller” (Cadence in Decay) will be released during the next twelve months. Stay tuned for exact release dates and more information as those dates draw near. 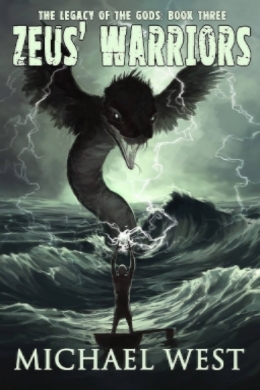 And last, but certainly not least, I will be working on the next two chapters in my Legacy of the Gods series, Hades’ Disciples and Zeus’ Warriors. 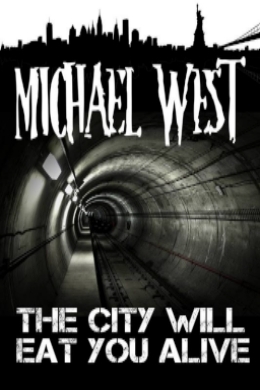 Look for the first of these two entries to be released before 2o13 ends, with the second coming out in early 2014. So thanks to you, all my faithful readers, for your kind words and encouragement over these past twelve months, and for your continued support in 2013 and beyond. Happy New Year! May the future be a bright one for us all! 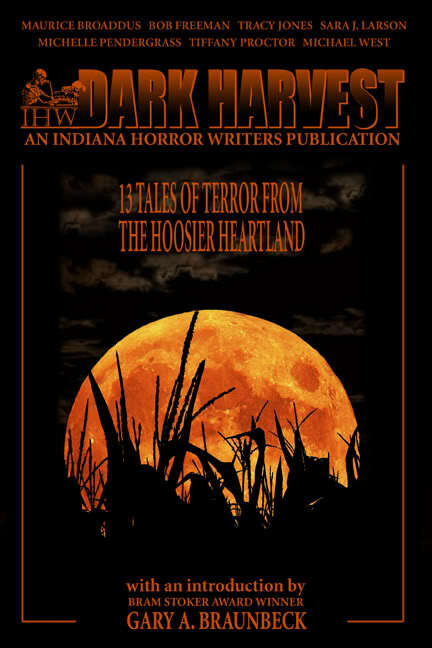 The foreword to the Indiana Horror Writers anthology, Dark Harvest, has been written by non other than Bram Stoker Award-winner Gary A. Braunbeck. 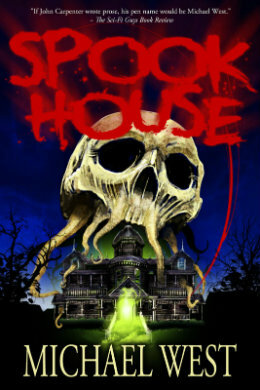 Edited by Bob Freeman, Dark Harvest features the *Best Horror Short Story of the Year, Michael West’s “Goodnight,” Mr. West’s new tale “Trolling,” his non-fiction account of a weekend spent in the oh-so-haunted Woodcarver’s Building in Converse, Indiana, as well as heart-stopping tales by Maurice Broaddus, Tracy Jones, Sara J. Larson, and Michelle Pendergrass. 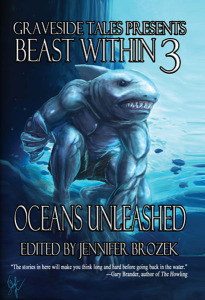 Dark Harvest will be officially unleashed on June 14th at Mo*Con III: The Intersection of Spirituality, Art and Gender. “Trolling” for a Dark Harvest! 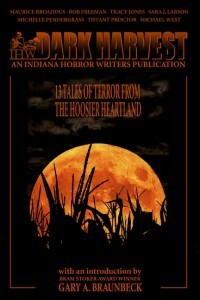 Michael West’s short story “Trolling” will appear in the upcoming Indiana Horror Writers anthology Dark Harvest. 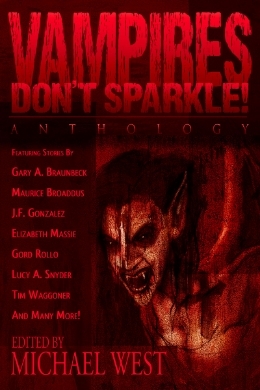 This anthology of dark and twisted tales will also feature a reprint of Michael West’s story “Goodnight,” the BEST HORROR SHORT STORY of 2005!